A pack of 10 High quality etched silicon probes for hard TappingMode™ and other non-contact modes. 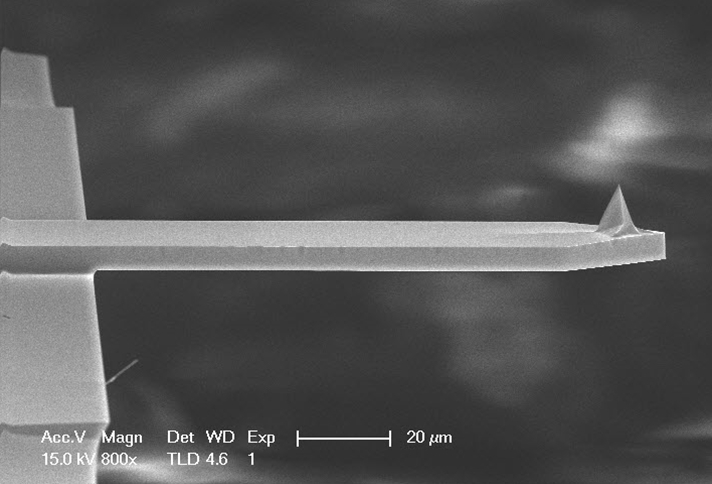 Unmounted for use on standard AFM's. 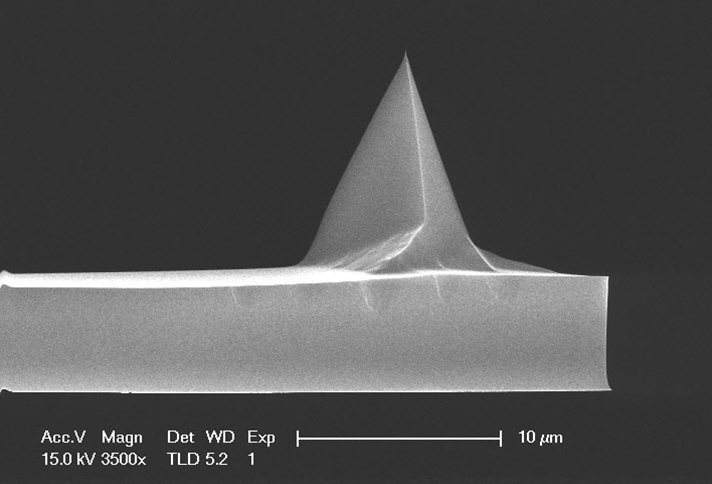 This AFM probe is unmounted for use on any AFM and is also available with Aluminum reflex coating as model RTESPA-525.